Providing insurance solutions with honest expertise in Green Brook, NJ, Boulder, CO and throughout the United States. During this crucial initial phase, we invest the time to understand every facet of your business in order to help you and your team identify the risks that face your business. By evaluating the effectiveness of risk management programs, practices and resources under real-world conditions, we assure that your assets receive precisely the right type of protection. Once we have developed a thorough understanding of your business, including your industry, corporate culture and operating procedures, we move beyond insurance, exploring a spectrum of proven alternative strategies to minimize risk and reduce insurance costs. During the implementation process, we put in place specially tailored programs and strategies designed to protect your assets while reducing insurance costs. A strong belief in our process motivates underwriters to offer much lower insurance costs on your behalf. You and your business are dynamic – what works for you today might not work as well tomorrow. For this reason, we continue to monitor and adjust your risk management programs to ensure a perfect fit as your business evolves and changes. We are proud members of Beyond Insurance Global Network. EAB Group offers personal insurance, business insurance and employee benefits. EAB Group offers comprehensive insurance solutions. In a small room on the first floor of their private home in Green Brook, New Jersey, Ed and Eleanor “Ellie” Boniakowski started EA Boniakowski Insurance Services in 1950, with the humble philosophy that if your treat people right and do the right thing, success will follow. Ed and Ellie recognized the increasing demand for reputable insurance services and forged major partnerships with several top insurance companies to create an agency their customers know they can trust. What started out as a two-person, husband-and-wife operation has since grown into a firm of 50+ employees, licensed in 25 states. 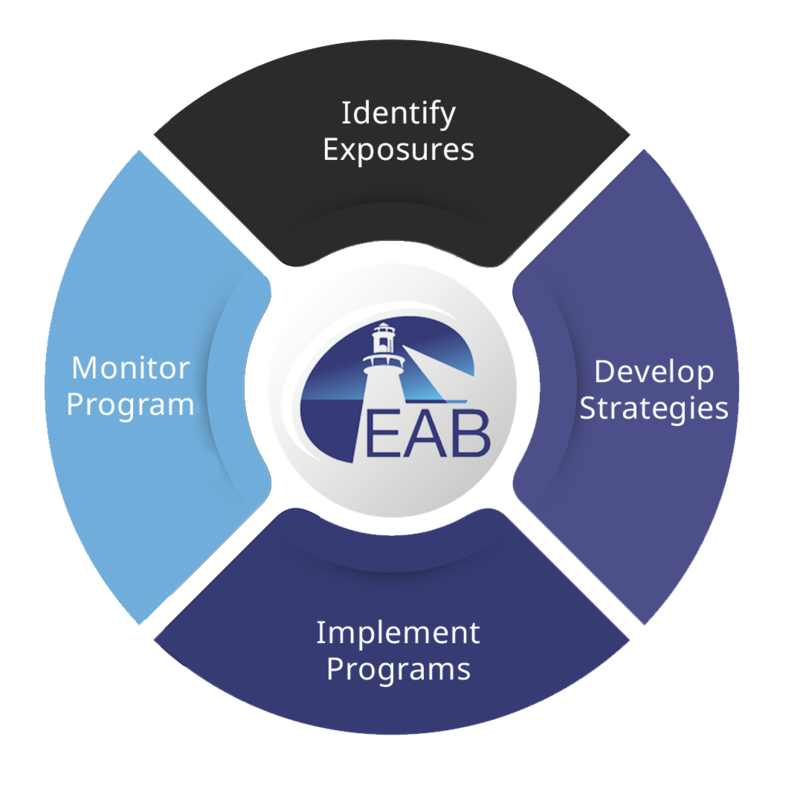 Today EAB Group operates out of a 5,000-square-foot corporate office in Green Brook, NJ – with a second office in Martinsville and our Western Division located in Colorado. The company still embrace their parents’ philosophy of providing real, honest expertise and getting the job done right the first time. At EAB Group, we put our clients first and work to ensure their complete satisfaction. We take the time to understand our clients’ needs, and we value our ability to offer them the right products at the best prices. We also believe just as strongly in giving back to the community. EAB Group takes pride in providing financial and volunteer support to more than 25 local nonprofit organizations that provide essential services to the community. EAB Group continues to grow using the Beyond Insurance™ process, helping clients recognize potential gaps in coverage and reduce drivers of insurance costs. We go the extra degree to ensure our clients are completely satisfied.